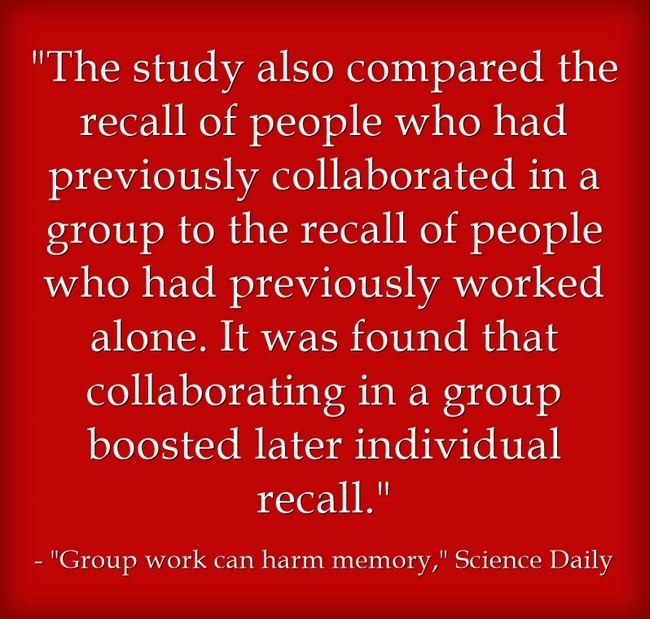 Group work can harm memory is the headline of a widely circulated summary of a new study. I believe a good number of the people (though not all) doing the circulating are ones who have in the past expressed skepticism of group work in classrooms. I think many miss a key failing of the study (and many similar ones) and its most important conclusion. First off, part of the research compares the memory of those working together to remember information with those who are working on trying to remember it alone. It ignores the fact obvious to any teacher in the classroom that many students – left alone – may very well not try to learn it in the first place! The engagement generated by group work for many is a prime motivating factor for learning. Widely accepted research finds that “relatedness” – connecting with others who you like and/or respect – is one of four key factors in developing intrinsic motivation. It doesn’t find group work less effective. It finds “cooperative” group work less effective, but finds “collaborative” work more effective. 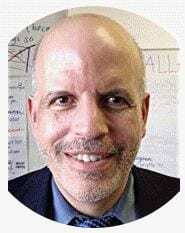 Collaborative work – when students have done individual thinking and then bring that to the “table” for revision – is clearly what we should be doing in the classroom, and is the kind of work promoted by the Common Core Standards. “Cooperative” learning – “get into your group to do this” with no prior work – is clearly inferior (except for, perhaps, community-building activities). 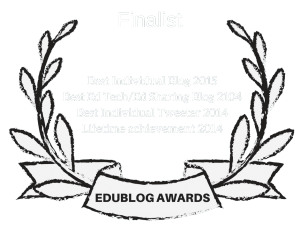 I’ve written about the in Edutopia, Collaborative Writing, Common Core, and ELLs. This study is a boost, not an arrow-to-the-heart, to group learning…. I’m adding this post to The Best Sites For Cooperative & Collaborative Learning Ideas (which I have to edit due to this relatively recent distinction between cooperative and collaborative.